The founder of music collective Futuristic Lingo is back with a brand new song, and like his million+ viewed YouTube smash “It’s Natural“, Young Future lays down a track that will surely have the ladies “smiling”. 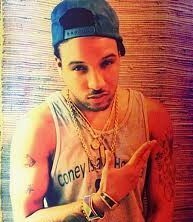 This time he brings along his new wingman, rising singer/songwriter RO James who is fresh off helping pen “Use Me” from R&B star Miguel’s latest album Kaleidoscope Dream. 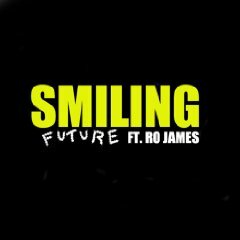 “Smiling” is the first single from Young Future’s debut EP Circles Inspires Me. Produced by the up-and-coming duo The Deloryanz, the song is the ideal soundtrack for the remaining months of “cuddle season”. Along with the smooth production and James’ hypnotizing performance on the hook, Young Future’s flow and delivery makes “Smiling” a potential contender for breakout song of the 4th quarter. DZI: The Voice got the chance to chat with Young Future about his latest single, connecting with James, and what we can expect from his upcoming mini-album. Yohance Kyles: What was the inspiration behind “Smiling”? Young Future: The inspiration for the song was seeing females sad or with bad attitudes. It’s much better when a female- let alone anyone- chooses to smile. It brightens up your day as well as others, and it’s something so simple and easy to do. YK: How did you hook up with RO James? YF: I met Ro James several years ago and we are good friends. I told him to come to the studio when I met these producers from Universal named the Deloryanz. They played about 5 beats and this one caught our ear instantly. Ro said he had something for it, now here we are “Smiling”. YK: In your opinion, how does the video compliment the song? YK: What can we expect from the Circles Inspire Me EP? 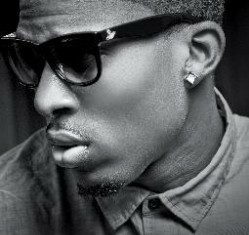 YF: You can expect eclectic music that is inspiring and deep at the core. Circles Inspire Me is about being inspired by the world (the biggest circle) whether it’s negative or positive towards you as an individual. We should take every experience in life and turn it into a learning experience for ourselves and others. It’s going to be different from what’s out there right now, simply because I don’t want to fit in.